If you have been wanting to make money with CPA offers, but have been completely overwhelmed by the countless offers, the different strategies and the varying tactics that are taught online, then you will want to read every word on this page. Make no mistake, this website was created for anyone who is brand new to the world of CPA and wants a simple, straight forward blueprint to cashing in on high paying opportunities. Imagine being paid each time someone: Fills out a five minute survey, which pays you $10 each and every single time. Subscribes to a free newsletter, which pays you $2.00 for every single opt-in. Signs up for a free trial of a popular magazine subscription, which generates over $18 in instant profits. Are you starting to see why this is such a popular method of earning money online? I'll be honest with you. When I first heard of the term "CPA", I had no idea that it was one of the hottest methods of making money online and when I finally spent the time evaluating the opportunities that are out there, I was completely shocked at just how much money you can make with these super sized income programs.. but I was also terribly embarrassed that it took me so long to jump on board. I still cringe to think about just how much time I wasted, trying to find a way to make money online when it was staring me right in the face the entire time. For those that aren't quite sure what CPA really is, here is a brief overview, in short form: CPA, means "Cost Per Action", where you are paid for every action generated by your efforts. Now, to be upfront, "actions" come in many forms, including email subscriptions, polls, surveys, filling out trial offers, subscribing to websites.. you name it, it's out there, and the best part of all of this? You can be paid for every single "action" someone takes. This makes CPA one of the most lucrative ventures to get into, because even if you absolutely hate selling, you can still make an outright fortune just referring people! 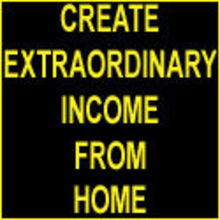 They don't have to purchase a single thing and you can still earn money. The best part of all is that you can start making money regardless of your location or experience level and with the various CPA opportunities available to you, you are in full control of how often you work, setting your own schedule, working on your own terms. Forget the work at home job offers where you are paid peanuts for slaving over your computer hours on end. Forget about affiliate promotions that run dry after a few days, leaving you picking up the slack.. and forget about all of the many other endless online business opportunities that require insane start up costs and weeks of endless waiting in the vain hope of making money. With CPA, you can begin to see results the very same day you set up your campaigns. All it takes is a few hours of your time, and once your system is in place, all you need to do is replicate the set up to consistently expand your outreach and double.. triple.. QUADRUPLE your earnings. 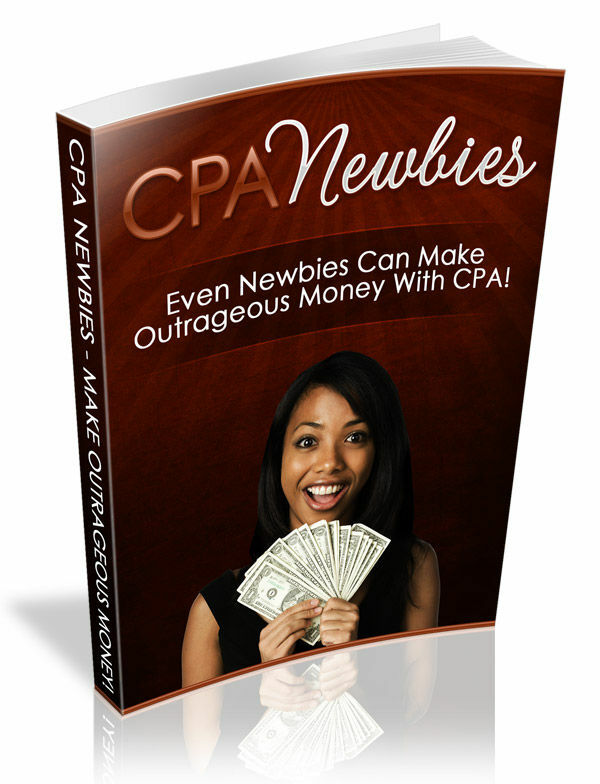 The CPA Newbies guide was written for the brand new CPA marketer. It explores the most feasible opportunities and highest paying programs out there, leaving nothing out. 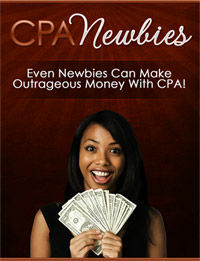 You will never again wonder how so many others are able to make serious cash with CPA offers because not only will you have every tool and resource you need to join the ranks of even the wealthiest CPA marketers, but you will be leaps and bounds ahead of other new marketers who are just starting out. Believe me, without a fool proof blueprint in your hands, learning the ropes of CPA marketing on your own can be a draining process, not to mention extremely time consuming. Worse, without knowing that programs pay out, you might end up spending weeks of your time making money that never reaches your bank account. With the CPA Newbies guide, this isn't a problem for you. I will direct you to the most reputable CPA companies, the ones that stand by their CPA marketers and value the time that we put into our efforts. These guys are the only ones you want to work for, because they will not only ensure that you are taken care of, but they do the footwork of showcasing the hottest opportunities online, so that you make MORE money in less time! 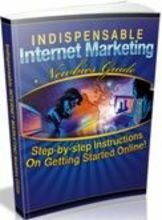 Here is just a sneak peek at some of what you will learn: How to ensure that you are accepted within the hottest networks online. I will show you exactly what you need to DO and SAY when applying for membership. Discover exactly how you can set up the ultimate landing page, effortlessly! It doesn't matter if you have absolutely no experience creating or editing web pages, these methods are so simple, you will be able to churn out dozens an hour. How to set up your CPA cash machine with nothing more than a $9.01 investment. 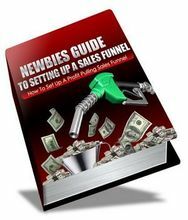 Learn exactly how to generate free traffic to your landing pages, quickly and easily! Start making thousands of dollars a month with high end CPA offers by learning exactly how to choose winners, time and time again! Never spend a moment of your time promoting low converting campaigns. And we're just getting started! Here's even more of what you will uncover within each chapter.. Use (or abuse) the power of CPA marketing to make money AND build your very own online business, all at the same time! Build an active subscribers list, sell your own products, make extra money with 'external' affiliate products and much more! Discover the biggest mistakes that new CPA marketers make and how you can make sure you avoid doing the same. I will guide you along every step of the way so that you can progress quickly without any bumps along the road. My Secret CPA Swipe File - I will hand you my personal swipe file containing the best resources and the hottest programs so that you can skip the research and start making money right now! and much, much more.. I have poured hours and hours into creating this guide to CPA profits, ensuring that the content was written so that you can easily follow along, without getting confused or lost along the way. I wanted to design a system that anyone could put into action, regardless of how new they may be to the world of CPA. Within the chapters, you will be given action plans, that allow you to simply check off the steps as you complete each one. By the end of the book, you will know every tactic, every technique and every stealth trick I use to consistently make money with CPA offers. If you have been wanting to make money with CPA offers, but have been completely overwhelmed by the countless offers, the different strategies and the varying tactics that are taught online, then you will want to read every word on this page. Make no mistake, this website was created for anyone who is brand new to the world of CPA and wants a simple, straight forward blueprint to cashing in on high paying opportunities. Fills out a five minute survey, which pays you $10 each and every single time. Subscribes to a free newsletter, which pays you $2.00 for every single opt-in. Signs up for a free trial of a popular magazine subscription, which generates over $18 in instant profits. Are you starting to see why this is such a popular method of earning money online? I'll be honest with you. When I first heard of the term "CPA", I had no idea that it was one of the hottest methods of making money online and when I finally spent the time evaluating the opportunities that are out there, I was completely shocked at just how much money you can make with these super sized income programs.. but I was also terribly embarrassed that it took me so long to jump on board. I still cringe to think about just how much time I wasted, trying to find a way to make money online when it was staring me right in the face the entire time. CPA, means "Cost Per Action", where you are paid for every action generated by your efforts. Now, to be upfront, "actions" come in many forms, including email subscriptions, polls, surveys, filling out trial offers, subscribing to websites.. you name it, it's out there, and the best part of all of this? You can be paid for every single "action" someone takes. This makes CPA one of the most lucrative ventures to get into, because even if you absolutely hate selling, you can still make an outright fortune just referring people! They don't have to purchase a single thing and you can still earn money. The best part of all is that you can start making money regardless of your location or experience level and with the various CPA opportunities available to you, you are in full control of how often you work, setting your own schedule, working on your own terms. Forget the work at home job offers where you are paid peanuts for slaving over your computer hours on end. Forget about affiliate promotions that run dry after a few days, leaving you picking up the slack.. and forget about all of the many other endless online business opportunities that require insane start up costs and weeks of endless waiting in the vain hope of making money. With CPA, you can begin to see results the very same day you set up your campaigns. All it takes is a few hours of your time, and once your system is in place, all you need to do is replicate the set up to consistently expand your outreach and double.. triple.. QUADRUPLE your earnings. 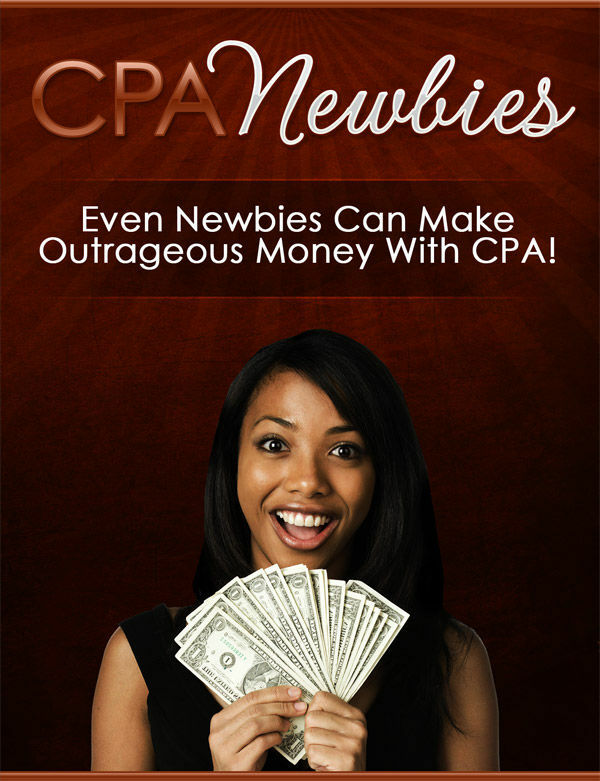 The CPA Newbies guide was written for the brand new CPA marketer. It explores the most feasible opportunities and highest paying programs out there, leaving nothing out. You will never again wonder how so many others are able to make serious cash with CPA offers because not only will you have every tool and resource you need to join the ranks of even the wealthiest CPA marketers, but you will be leaps and bounds ahead of other new marketers who are just starting out. Believe me, without a fool proof blueprint in your hands, learning the ropes of CPA marketing on your own can be a draining process, not to mention extremely time consuming. Worse, without knowing that programs pay out, you might end up spending weeks of your time making money that never reaches your bank account. With the CPA Newbies guide, this isn't a problem for you. I will direct you to the most reputable CPA companies, the ones that stand by their CPA marketers and value the time that we put into our efforts. These guys are the only ones you want to work for, because they will not only ensure that you are taken care of, but they do the footwork of showcasing the hottest opportunities online, so that you make MORE money in less time! 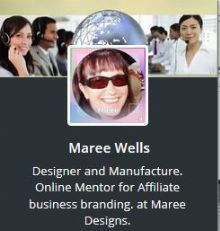 How to ensure that you are accepted within the hottest networks online. I will show you exactly what you need to DO and SAY when applying for membership. Discover exactly how you can set up the ultimate landing page, effortlessly! It doesn't matter if you have absolutely no experience creating or editing web pages, these methods are so simple, you will be able to churn out dozens an hour. How to set up your CPA cash machine with nothing more than a $9.01 investment. Learn exactly how to generate free traffic to your landing pages, quickly and easily! Start making thousands of dollars a month with high end CPA offers by learning exactly how to choose winners, time and time again! Never spend a moment of your time promoting low converting campaigns. Here's even more of what you will uncover within each chapter..
Use (or abuse) the power of CPA marketing to make money AND build your very own online business, all at the same time! 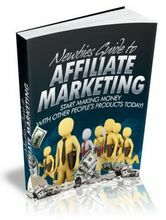 Build an active subscribers list, sell your own products, make extra money with 'external' affiliate products and much more! Discover the biggest mistakes that new CPA marketers make and how you can make sure you avoid doing the same. I will guide you along every step of the way so that you can progress quickly without any bumps along the road. My Secret CPA Swipe File - I will hand you my personal swipe file containing the best resources and the hottest programs so that you can skip the research and start making money right now! I have poured hours and hours into creating this guide to CPA profits, ensuring that the content was written so that you can easily follow along, without getting confused or lost along the way. I wanted to design a system that anyone could put into action, regardless of how new they may be to the world of CPA. Within the chapters, you will be given action plans, that allow you to simply check off the steps as you complete each one. By the end of the book, you will know every tactic, every technique and every stealth trick I use to consistently make money with CPA offers. 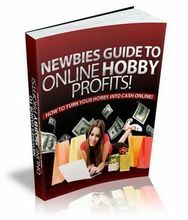 The Newbies Guide To Online Hobby Profits!